The earth’s core overheats. The sovereign leader vanishes. A young girl is the survivors’ only hope. 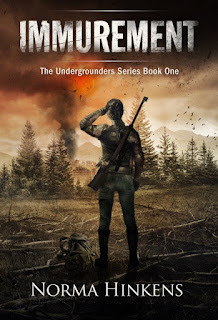 What little land is habitable is patrolled by cutthroat gangs of escaped subversives, but that’s not the greatest threat facing sixteen-year-old Derry Connelly, her brother Owen, and a ragged band of Preppers holed up in a bunker in the Sawtooth Mountains. Mysterious hoverships operated by clones are targeting adolescents for extraction. Owen, is one of the first to disappear. 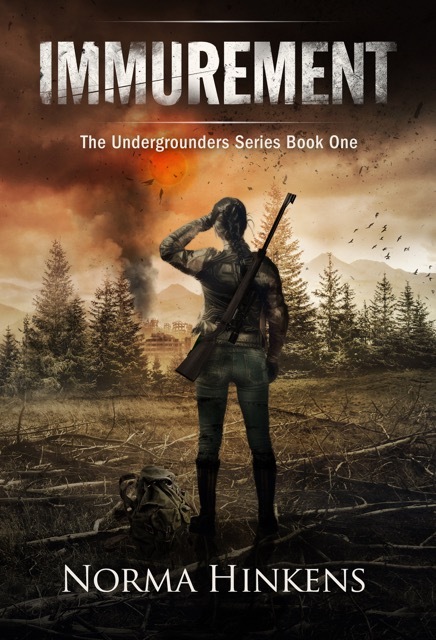 To save him, Derry must strike a deal with the murderous subversives, and risk a daring raid to infiltrate the heart of the extraction operation. But will the rookie leader falter when forced to choose between her brother and a clone who ignites something inside her she didn’t know was possible? Norma Hinkens is an author who takes a fiendish delight in pushing reluctant characters over cliffs to find out what they're made of. Epic odds, seemingly impossible missions, pasts that haunt, intrigue and misadventure. She’s happiest when wrangling provocative big picture ideas that are never black and white when you turn them inside out. It's all about the tension in the journey. Norma grew up among rich storytelling traditions in her native Ireland. A Celtic bard at heart, she's happiest wielding her wordsmithing sword with as much wit and eloquence as a bard can muster. She currently resides in California with her husband, three children and Chihuahua extraordinaire. 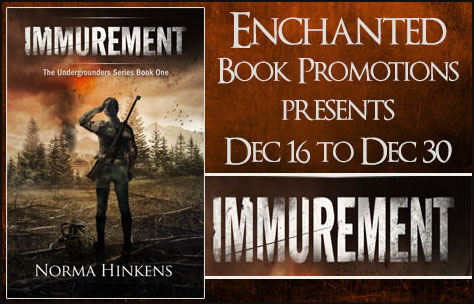 She is the author of the YA Undergrounders Series: Immurement, Embattlement and Adjudgement. “He is,” I say, too sharply. The room falls silent. My brain screams a million thoughts at me. I clench my trembling fingers into fists. It all seems unreal—the kind of heart-stopping nightmare you wake up from, gasping for air, soaked in sweat. After what Won said, I’m questioning everything. What if I’ve made a terrible mistake? What if Owen's still breathing when Lyong finds him? What if they take him to Sektor Sieben and hardwire some kind of circuit board into his brain? I jam my hands into my hair and blow a few listless puffs of air over my face. I’m suddenly burning up in the bunker. I turn around and walk unevenly back to my seat, legs bending like reeds. Big Ed scratches the back of his neck, throws me an uneasy look. The Council members look at me expectantly, but I avert my gaze and sink back in my chair, undone and disconnecting. I have nothing to offer them. All I ever wanted was the chance to step up and be somebody, but that dream’s become my burden. Do they think I can just take over where Owen left off? Lead a teenage flash mob to take on the Schutz Clones. And now that the Sweepers know we have some kind of resistance movement going, they’ll be ready for us when we go back. I groan and bury my face in my hands. When we go back. It’s like I have a subliminal death wish. I save your brother. Won’s words sear my brain. Even more agonizing because the lie preys on my tattered emotions. There’s nothing Won can do that will bring Owen back, but I can’t stop speculating about what he meant. I know what Won’s idea of saving brain-dead participants entails, and the thought of Owen being subjected to anything like that makes me want to put Won’s head on a spike. I rub my hands vigorously over my face as if to scrub the grisly images of Sektor Sieben from my mind. It may be too late to save Owen, but there are others. I owe it to Mason to try and free the rest of the clones. And then there’s the deviations—I felt their silent pleas. The Sweepers have to be stopped.